Capital Cardiology Associates is committed to improving health care quality and better serving our patients. According to the American Heart Association, “echocardiography, also called an echo test or heart ultrasound, is a test that takes ‘moving pictures’ of the heart with sound waves. You don’t have to stay in the hospital. It’s not surgery and doesn’t hurt.” The procedure usually takes about 30 minutes to complete. Capital Cardiology Associates is a ICAEL Accredited Echocardiography Lab. Capital Cardiology Associates uses the latest in radiation dose reduction techniques. As far as patient exposure is concerned, the procedure requested must be medically indicated and justified. In many cases our scan can be completed using a fraction of the radiation in comparison to cardiac catheterization or nuclear testing. Our CT Lab is accredited by the InterSocietal Commission Accreditation (IAC) for CT laboratories. This means that the CT Lab meets the highest standards for ensuring your scan is the highest quality. Our CT technologists hold certificates in cardiovascular technology as recognized by the SCCT. 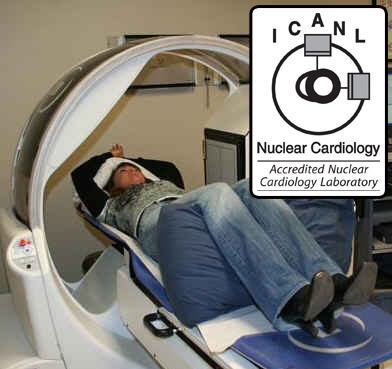 Our Nuclear lab is accredited through the InterSocietal Commission for Accreditation of Nuclear Medicine Laboratories in Myocardial Perfusion Imaging and Equilibrium Radionuclide Angiography. We also use Wide Beam Reconstruction software which allows us to scan quicker and reduce radiation exposure to patients. Our Blood Lab is accredited by COLA (Commission on Office Laboratory Accreditation). COLA is a physician-directed organization whose purpose is to promote excellence in laboratory medicine and patient care through a program of voluntary education, consultation, and accreditation. COLA helps Capital Cardiology Associates ensure accurate test results, run our lab in accordance with quality systems, and meet CLIA requirements in order to serve you, our patient, better. Capital Cardiology Associates has received recognition from the National Committee for Quality Assurance in their Heart Stroke Recognition Program. This reflects the quality care we provide to our cardiac patients in helping to minimize their risk for further cardiac events or stroke.